My oldest son asked me how to draw Mickey Mouse from the Three Musketeers movie, so I showed him how to start with a frame of simple shapes and then add on details. 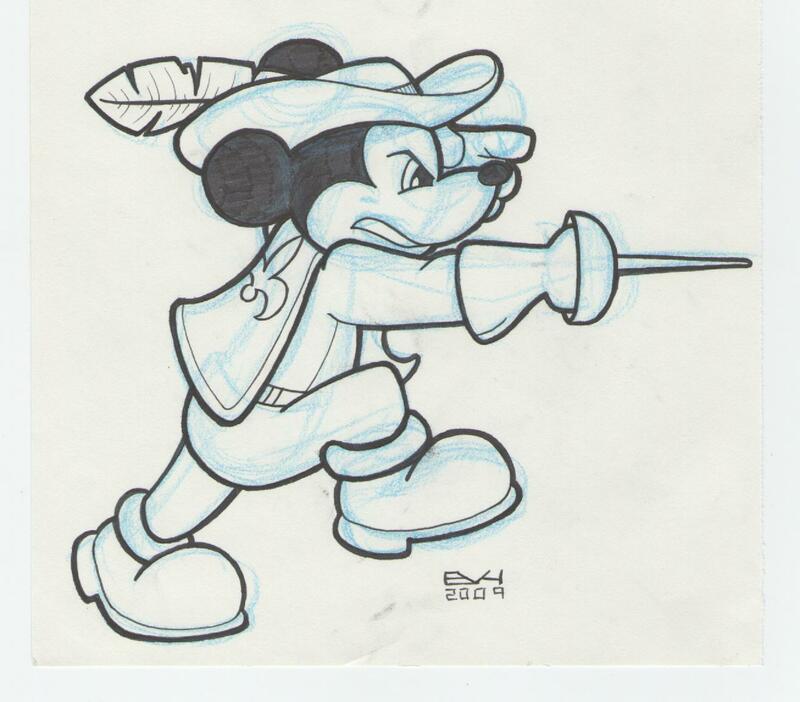 I thought I should whip up another Mickey for today’s doodle. This entry was posted on December 26, 2009 at 7:00 pm and is filed under Doodles, Shows, Toons. You can follow any responses to this entry through the RSS 2.0 feed. You can leave a response, or trackback from your own site.